KNOXVILLE, Tenn.—More than 500 local middle school students arrived at Pellissippi State Community College on Friday with sharpened pencils and calculators in hand, prepared to put their math skills to the test in the 18th annual Pellissippi State Middle School Mathematics Contest, which ORAU has sponsored for the last 15 years. Sixty student participants walked away with prizes for top-level scores. This year, students in sixth, seventh and eighth grades representing 32 East Tennessee middle schools, as well as home schooled students, competed in the contest. In its 18th year, the contest has garnered participation from almost 10,000 middle school students since it began in 2000. With ORAU's sponsorship, there is no cost for students to compete. 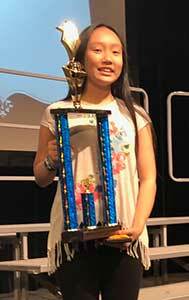 Sixth grader Elynn An from Farragut Middle School won the award for top score at the Pellissippi State Middle School Math Contest on Friday. With a score of 114, An was awarded $900. "This event has been a priority for Pellissippi State as it allows us to engage students in the community with mathematics opportunities and our college," said Jonathan Lamb, Pellissippi State math professor. "Thanks to ORAU's annual support, we can continue to provide this opportunity to local middle school students." During the contest, students each took one 60-minute test with a combination of multiple choice and short answer questions related to Tennessee mathematics standards for their specific grade level. The top 20 students in each grade were presented with awards, and Elynn An, from Farragut Middle School, was awarded $900 for receiving the highest score overall for the day. "Supporting events and programs that encourage student development in mathematics is crucial to developing STEM education and the STEM workforce as a whole," said Andy Page, ORAU's President and CEO. 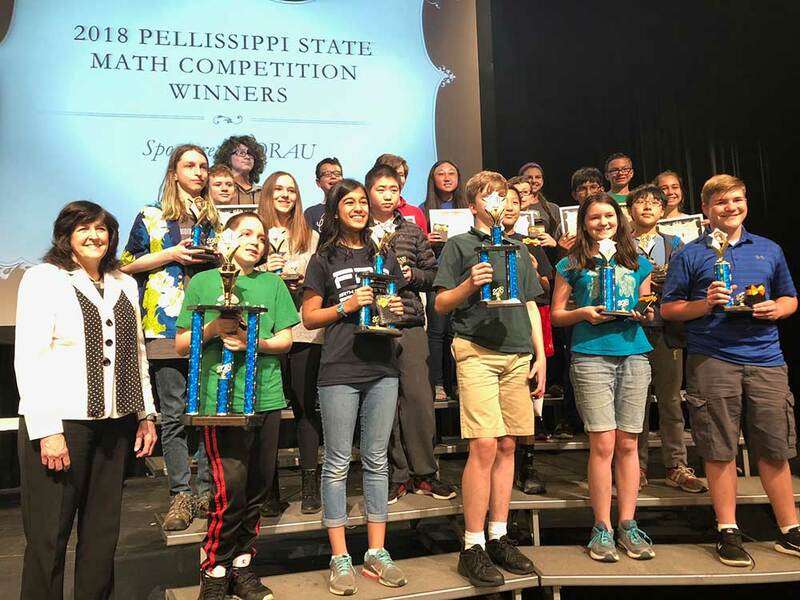 "ORAU has enjoyed working with Pellissippi State Community College in the past 15 years to provide a competitive, fun math experience to local middle school students." 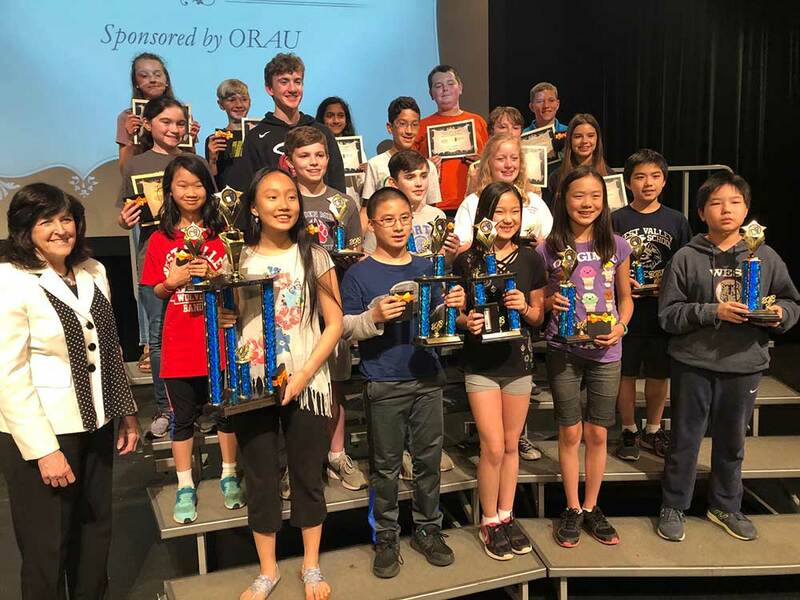 In addition to competing for the best overall score, the top 20 scoring students in each grade were presented with the following prizes during the awards ceremony: $500 for first place, $350 for second place, $225 for third place, $150 for fourth place and $100 for fifth place. Winners who placed 6th to 20th in the contest received $75 to $25 gift cards. ORAU's K-12 STEM Programs Section Manager Marie Westfall congratulates top-scoring 8th grade students who participated in the Pellissippi State Middle School Math Contest on Friday. ORAU's K-12 STEM Programs Section Manager Marie Westfall congratulates top-scoring 7th grade students who participated in the Pellissippi State Middle School Math Contest on Friday. 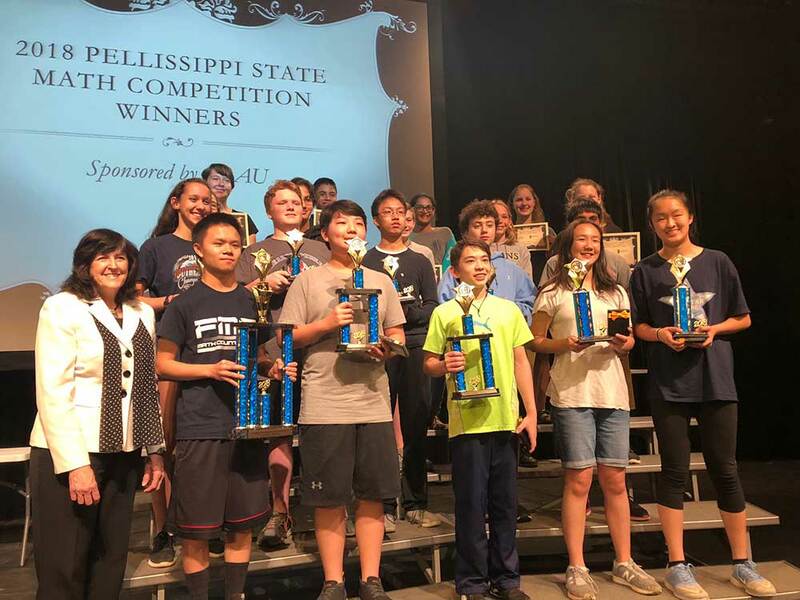 ORAU's K-12 STEM Programs Section Manager Marie Westfall congratulates top-scoring 6th grade students who participated in the Pellissippi State Middle School Math Contest on Friday.